You guys… I’ve had one of the craziest spring breaks of my life this past week! Starting on Wednesday, I left school early and headed for Disney for a fun 6 days of staying up late, riding crazy roller coasters, and taking lots of cute pictures with my friends. I ate SO much junk food and was completely worn out from all of our excursions, including the 20 hour bus ride back to Texas. I literally slept for 12 hours after I got back home! Almost right after I got back from the Disney trip, my parents and I packed our bags for yet another road trip. We drove down to Waco and Houston to attend some college tours and explore the cities. I was especially eager to visit Baylor and my dream school, Rice University. Getting a feel of what the intellectual/social lives of those colleges are like was so much fun! 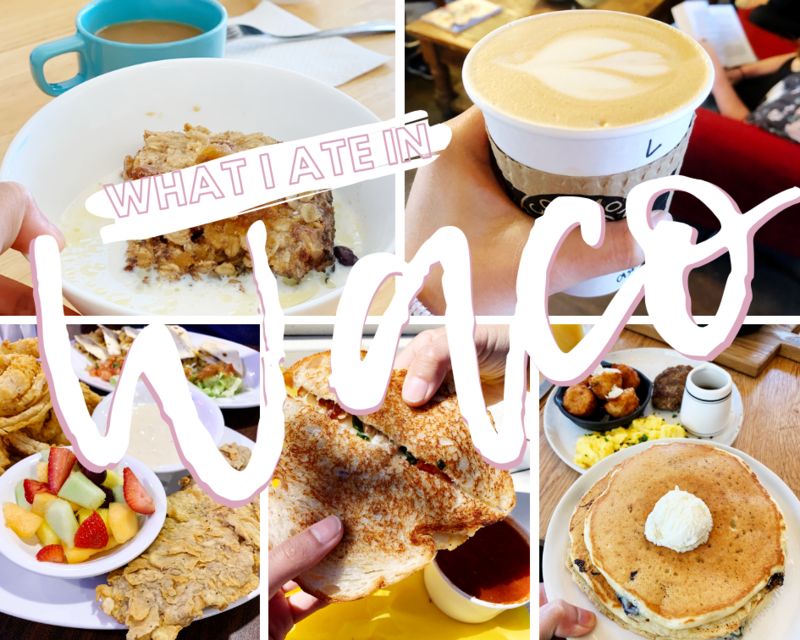 Today, I’m going to be sharing all of the places we stopped at on our trip to Waco. Even though it’s a small town, we were still able to find a bunch of yummy restaurants in the area. If you’re ever in need of a couple restaurant recommendations, I hope this food guide helps you find at least a couple places to stop at for some good food! It’s been a while since I’ve had cheesecake, and I’ve definitely made up for lost time this past month. 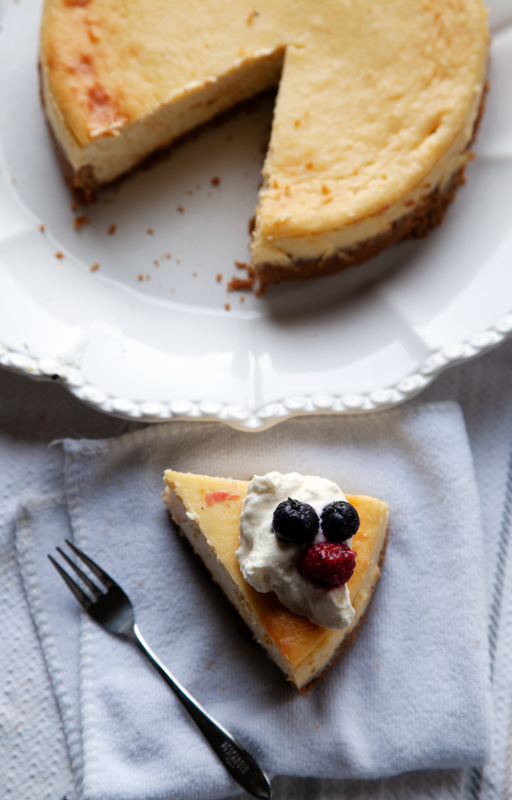 Ever since I got back from California, I’ve been making cheesecake basically non-stop. I’m not kidding! The first one I made was in Santa Barbara (I made it for Christmas dinner), and I’ve made three more after that. That’s 4 cheesecakes in the span of three weeks! I’ve come a long way, and I’m so excited to be sharing the final product of all of the dessert I’ve been making this January. 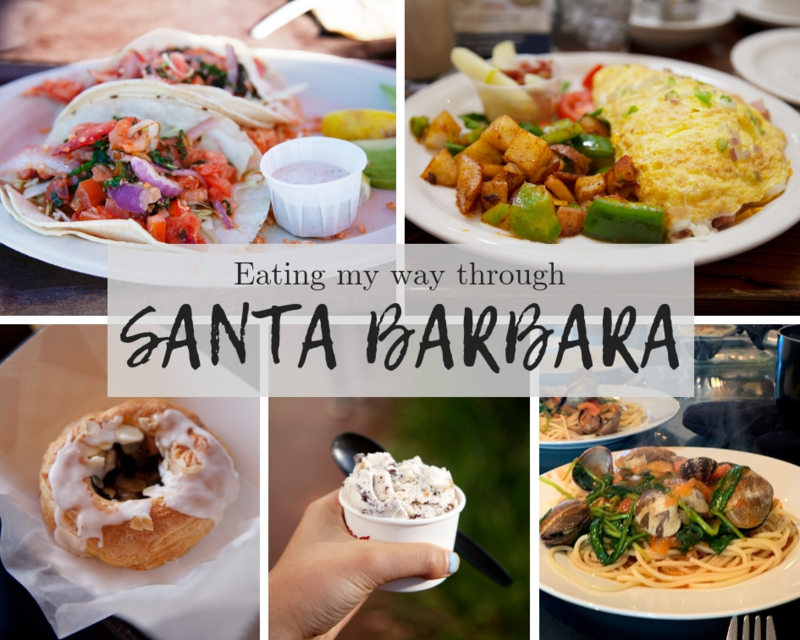 If you’ve seen my Santa Barbara food guide I posted a couple of weeks ago, then you’d know I went to California over winter break. After we spent a relaxing few days with family, my parents and I headed to the big city of Los Angeles. It was such a huge change of scenery from the small, quiet little city we were just in, to the loud, bustling atmosphere in LA! 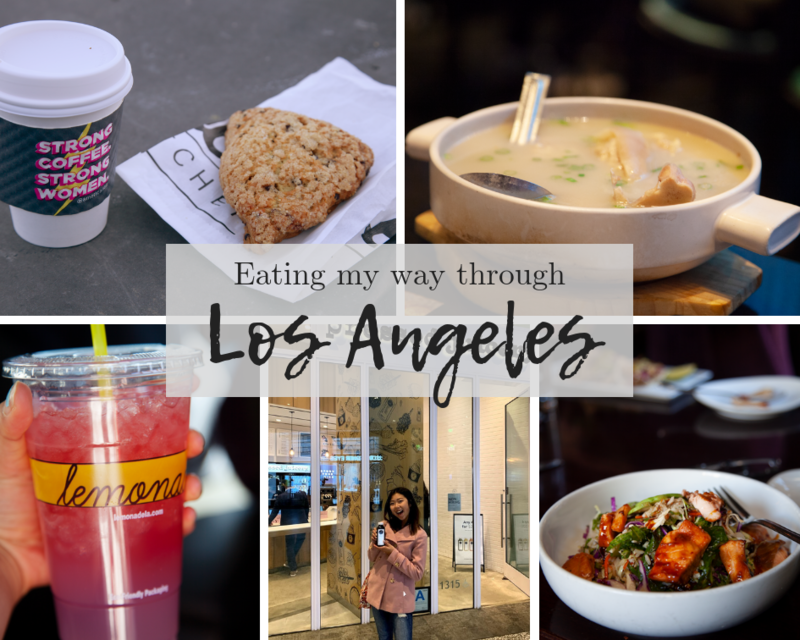 I visited so many amazing restaurants and cafes, and I’m so excited to be sharing my Los Angeles food guide. Enjoy! Happy 2019!!! I hope you have had a great start to the new year so far. Like every year, I made a list of my intentions/goals for this year, and I’m really really trying to accomplish them. I’ve made some progress already!! I’m starting the new year strong with a big batch of these cute peanut butter donuts. You’re going to love them! 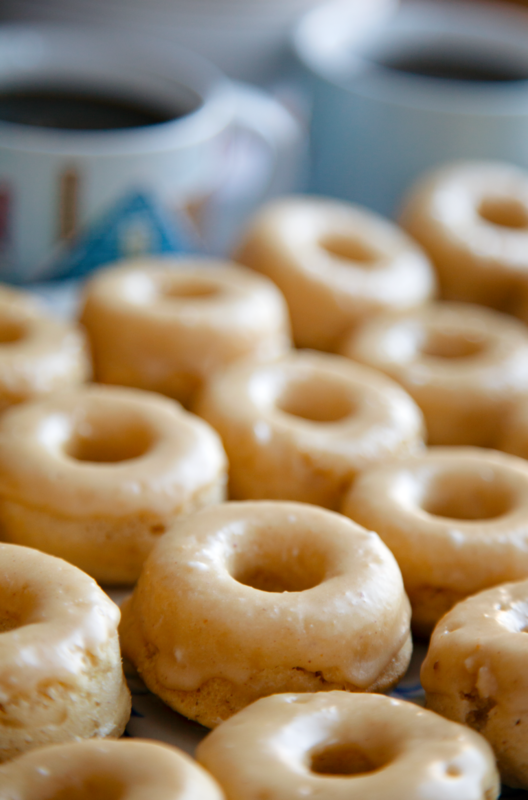 These donuts are soft, sweet, and so easy to make! I’m always looking for a fun way to whip up a quick recipe when I’m craving something sweet – these yield 28 mini donuts in under 30 minutes to make. 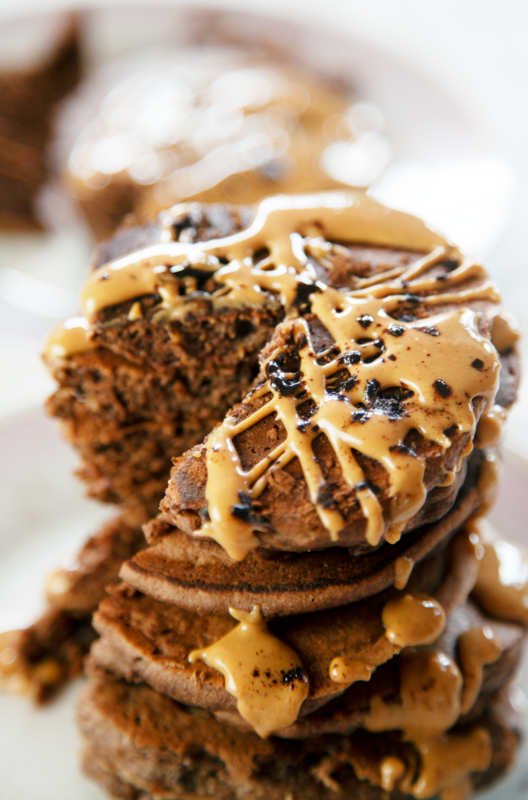 And since I always have peanut butter in my fridge, I know I’m going to make these a loooot more! The title says it all! 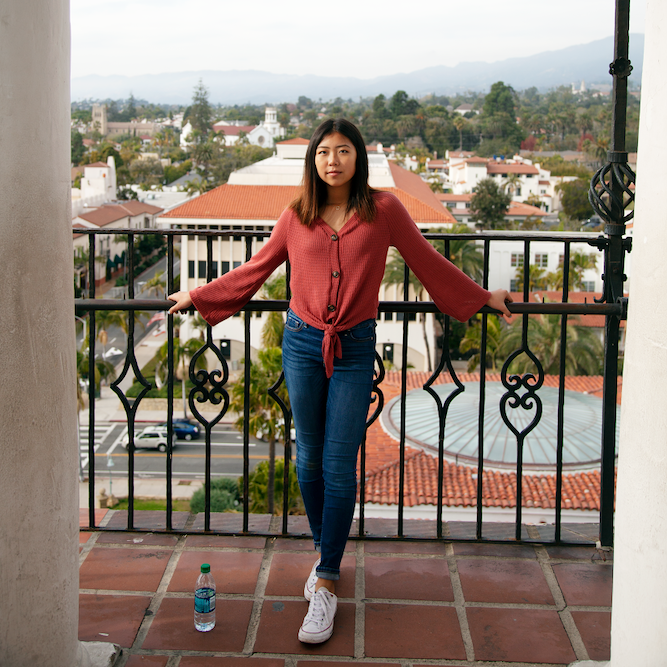 This past week, I’ve been having such a great time hanging out with my extended family in Santa Barbara, California! I haven’t seen most of them in close to a year. All of us have such busy lives, but I’m grateful that we get to come together for a week and spend some time together before we go our own ways once again. We’re trying to make annual family reunions a thing… did you see our trip to DC last year? We stayed in a super nice Airbnb with a whole kitchen filled stocked with a giant refrigerator and all sorts of kitchen appliances, so naturally we headed to the supermarket and bought a ton of ingredients so we could cook some nice meals. Usually when we are with family, we don’t eat out as much, just because it’s much easier and cheaper to make a ton of food for our large group to enjoy. However, we did end up stopping at some pretty yummy restaurants. They were all so good! If you’re ever visiting the Santa Barbara area, you HAVE to stop by and try out some of these places. Hey guys! Happy 2 days ’till Christmas! It’s so crazy how fast this holiday season has gone by. I was just reading through some of my most recent blog posts (although they aren’t exactly “recent” per se), and a LOT of them start off with me complaining about how busy I am, how sorry I am for not posting, and I will definitely post more consistently. If I counted how many times I’ve rolled my eyes at the incessant ramblings of my younger self, well… I’d definitely be much better at math. This loooong break has really taught me some interesting things. Mainly, how much I’ve missed baking in my spare time. Especially since it’s the holiday season, it’s kind of sad that I’m not running out of butter and sugar because I’ve baked so many cookies, or that my house isn’t smelling like cinnamon and molasses from baking gingerbread treats from scratch. Also, I’ve missed the enjoyment and satisfaction of taking photos that are pleasing to the eye and fun to drool over. It’s always fun to challenge myself with how minimalistically I can edit my photos while making them look both natural and appetizing. There are so many different cookie recipes out there, and honestly? Trying to pick just one to make is one of the most challenging aspects to baking, in my opinion. 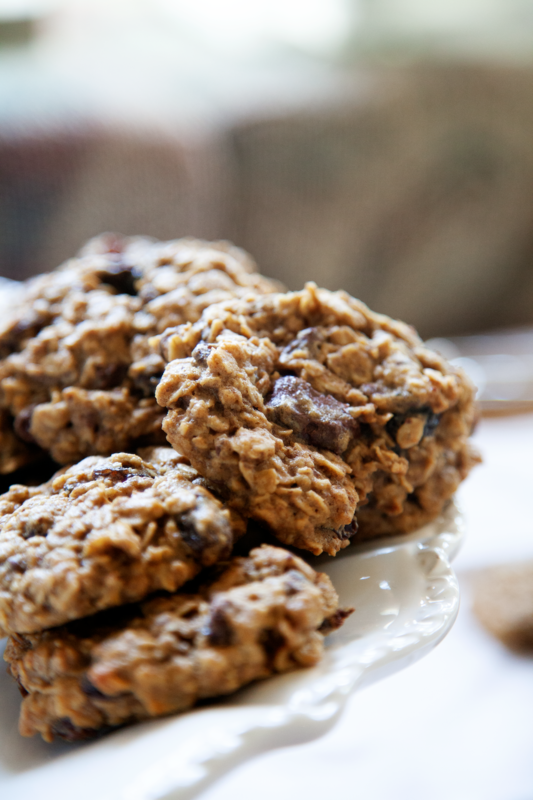 But I was flipping through Sally McKinney’s latest cookbook (her cookie addiction one), and I was delighted to stumble upon a whole section dedicated purely to oatmeal cookies!! Just looking at all the beautiful pictures was enough to make my stomach rumble. I’d forgotten how much I used to love a basic chewy oatmeal cookie. 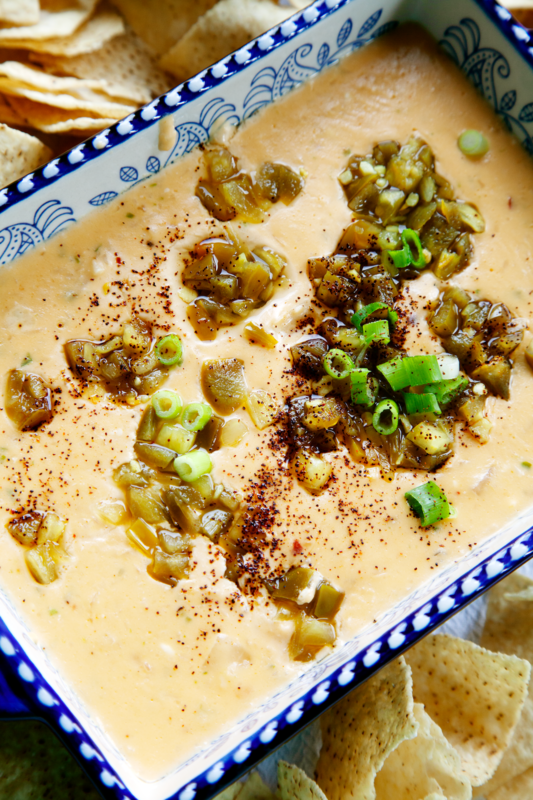 I have a little folder I keep filled with various recipes I’ve accumulated through the years. Some of them are printed off from the internet, and others just consist of a couple ingredients I’ve jotted down when trying to come up with my own. Flipping through the stack, I actually found an old oatmeal cookie recipe I’d recieved from a baking class I took in elementary school! I played around with it a bit, because it was pretty outdated; I added less raisins and more chocolate, increased the amount of brown sugar, and added cinnamon. 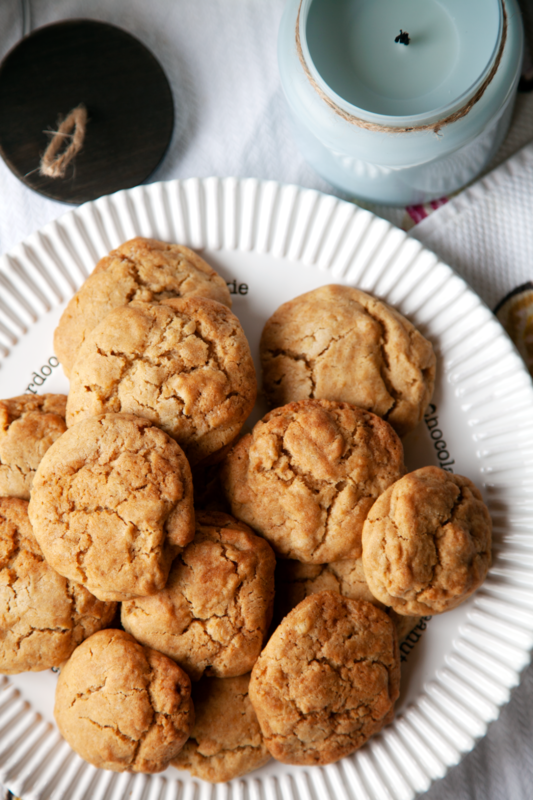 They’re big, fat, and chewy—everything you could ever want in any type of cookie. 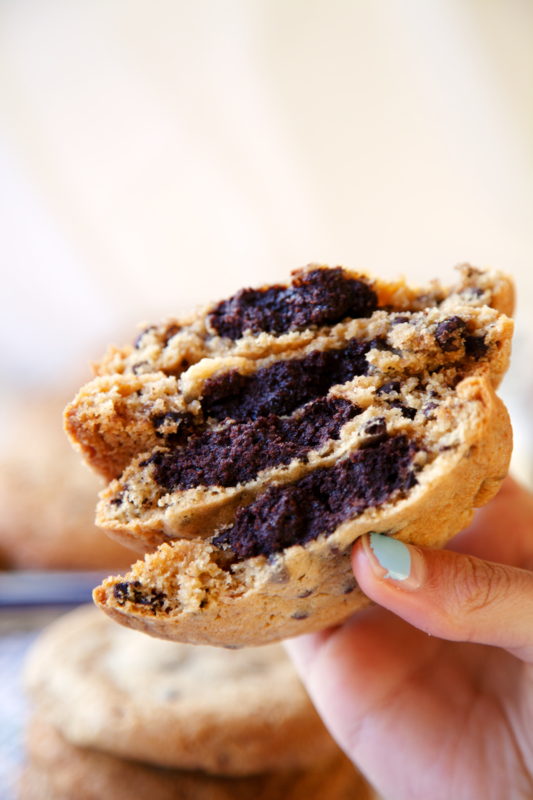 They’re loaded with tons raisins and chocolate chips, but you could easily substitute nuts or any other candy. Most importantly, they’re seriously sweet. Um… it’s been a while. “I’m busy” is such an overused excuse, and I really thought that was the reason I hadn’t posted in 3 months. But I’ve been doing some thinking lately, and I’ve come to the conclusion that my inactivity is simply because I’d really just lost the motivation to test and shoot recipes. It’s actually something I’ve read a lot about: blogger burnout. If any of y’all have ever experienced utter lack of desire to absolutely anything, that’s basically what happened to me. It’s like when you’ve got a ton of schoolwork to do but you can’t help but put it off to tomorrow… and the next day… and the next day. I mean, there’s so much else to do other than writing blog posts, right? It’s so much easier to bake some cookies and not have to worry about taking pictures, or messing with lighting and editing. Most of the time, things like watching TV with my family or playing fetch with my dog are much more desirable than having your face buried in a screen for hours.